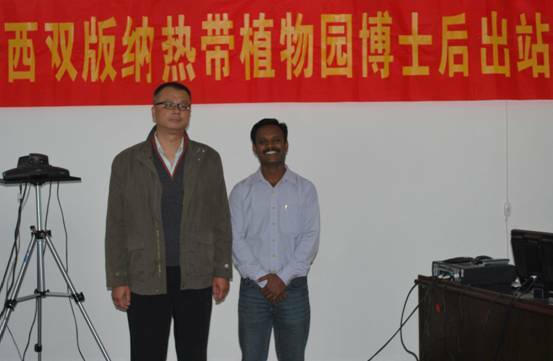 Mr. Shanmugam Mani, a postdoctoral fellow at XTBG, has completed his studies and passed oral defense on November 16. 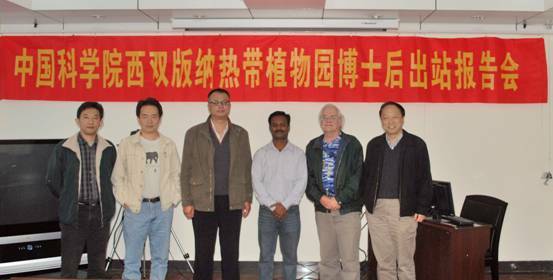 With a title “Monthly nutrient dynamics in the litterfall and soil in tropical rainforest of Xishuangbanna, Yunnan Province, Southwest China”, Dr. Shanmugam Mani presented his studies over the past two years to the 5-person expert panel composed of his supervisor Prof. Cao Min and other 4 experts. After questioning and answering, the panel put forward some suggestions conducive to his future studies.